This spacious two room suite is one of our larger rooms. 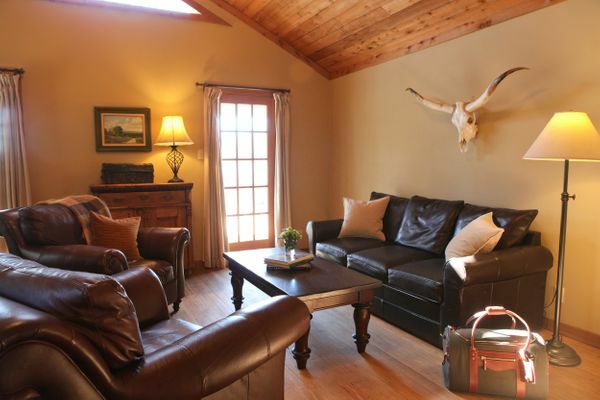 Located above the Great Hall, Texas Star has a private entrance that leads to a large living room with a comfortable leather sofa and chairs, rustic pine furniture and a dining area. 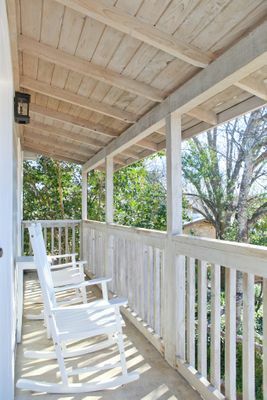 The front balcony’s rocking chairs overlook the Texas Garden. 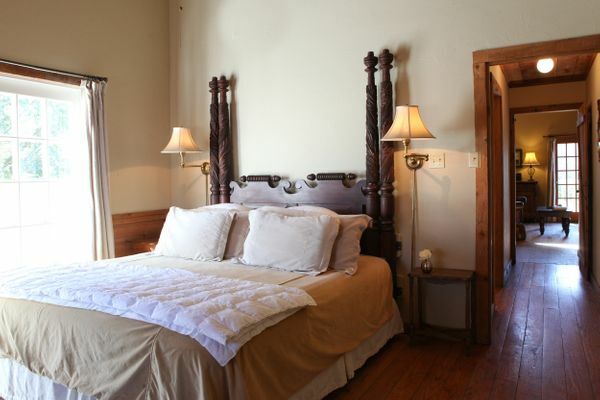 Connected by a small hallway separated with a cedar door, the bedroom has a lovely antique mahogany bed and comfortable chaise lounge under a cedar vaulted ceiling. The bathroom’s garden tub has a hand held shower. 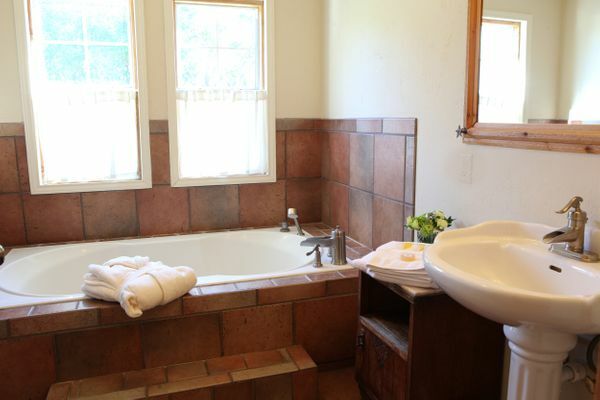 The bedroom also has a half bath. $190- $235 a night. Sleeps 2.